Just in time for Halloween, my husband and I got spooked in the Labyrinth under Castle Hill during the night time program. With pitch black paths and a lantern to guide our steps, the spooky music that got louder as you approached foggy corridors with damp grounds made our heart beat race. Not knowing what to expect, we didn't realize that there was a daytime program where the lights were on showcasing the labyrinth as a museum, and the nighttime program was only lit by lanterns to spook the wanderers. The Labyrinth beneath Budapest’s Castle Hill is where Vlad Tepes was held captive and tortured for 14 years, starting in 1463. 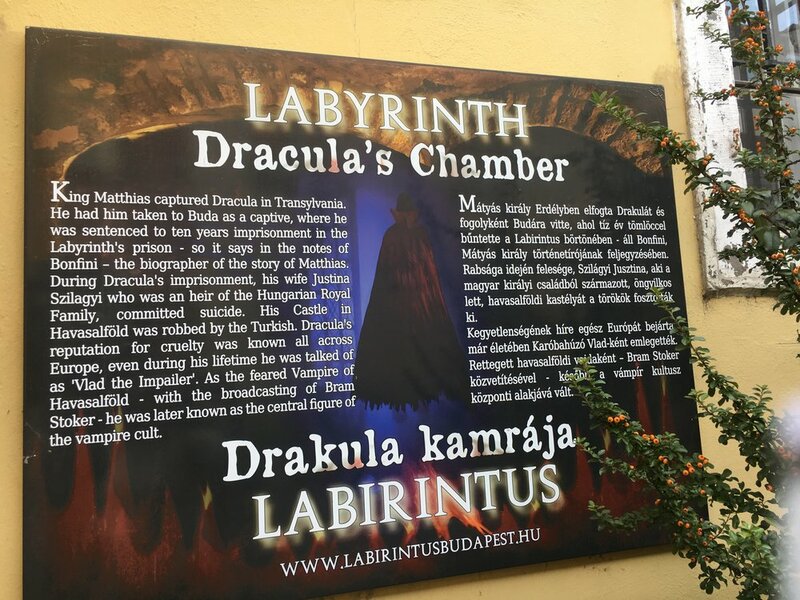 We remember him now as Vlad the Impaler, better known as “Count Dracula.” But, from much of my research, this is a made up attraction in the caves, as Vlad was said to actually be held in Visegrád. But hey, who knows, still fun to imagine either way. I love to be scared and love to get really into it, even knowing that there is no way that we could've gotten lost. Walking with my husband who is scared of the dark and almost 7 feet tall... poor guy was ducking in dark places, and getting spooked on every turn was not his forte. We basically had to run through the maze, because he was scared of getting lost, bumping his head, and ultimately scared of the dark. Let's just say he was sweating by the end of the maze and I didn't get to stop and read the plaques or really explore the small lit up exhibits that gave you a break from the dark. I'm going to have to go back to try the daytime program to really get the full experience of the Labyrinth, but it filled my need of the haunted houses I'm used to in America. It is said that the Labyrinth is Europe's 8th most popular tourist attraction. The Labyrinth is 1000 metres long, which is a little more than a half a mile long and is walkable in approximately 30 minutes. There are arrows to offer up directions to help you navigate the underground maze. In the maze you will see medieval Stonework, Dracula's Chamber, The masked ball of the Black Count, Marvellous Caves, and the Ghost Labyrinth. Spooky in its nature, I can't wait to go again. Don't forget your cash as the attraction is forients only and is open 7 days a week from 10 am-7pm. 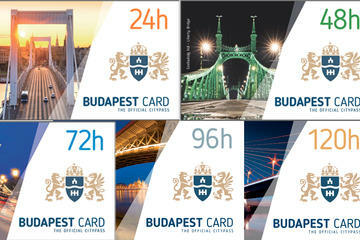 Get up to 20% off your ticket with a Budapest Card. Have you been to the Labyrinth? You have to make this a stop if you have a spare hour on Castle Hill. Don't forget to check out Hospital In The Rock on the same day.